David Schwartz came to the Jewish Organizing Fellowship a year after landing a job with the Real Food Challenge, organizing students for just and sustainable food. Growing up in two very different Boston neighborhoods—one largely Black and Latino and the other a more affluent suburb— David witnessed intense disparities in health, economic opportunity and access to real food early on. After years trying to educate other teens about food security and urban agriculture, he began to organize for larger structural change. He looked to his university to catalyze an economic shift. After his Fellowship year, David continued at the Real Food Challenge and now serves as the youngest member of the JOIN for Justice board. 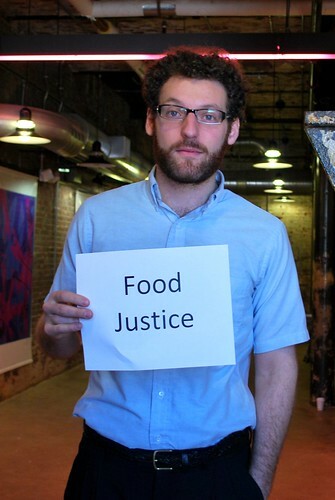 David is fighting for food justice. What will you fight for?